« I’m a Little Tea Pot……..
Those curves would get me, too, but you certainly are making a masterpiece of them! I absolutely love those birds in the corners. Cute! this is so pretty! 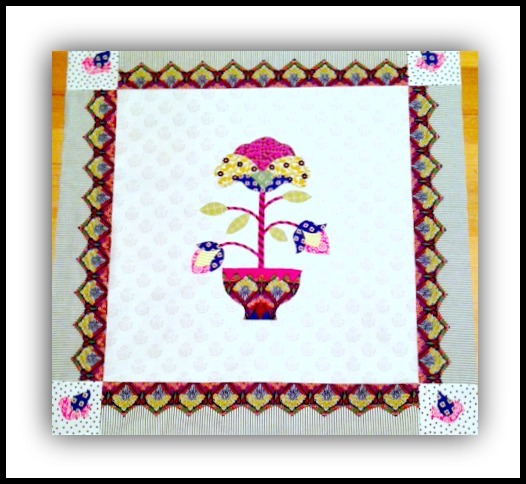 love the circle border! Beautiful! I love the center medallion. 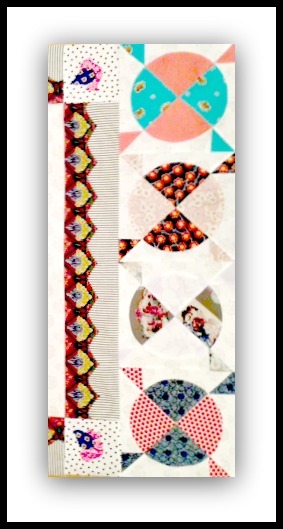 This is really going to be a stunning quilt when you are done! Oh Marie this beyond gorgeous. 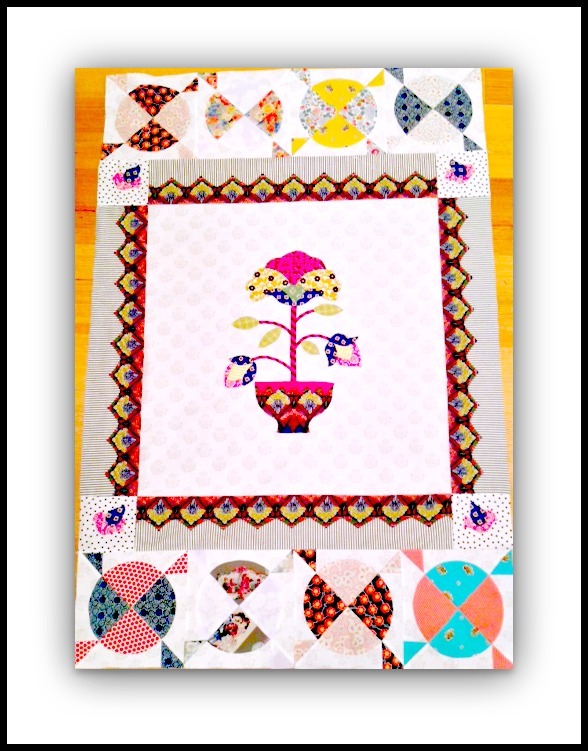 That center medallion is fabulous…I love your colour/fabric choices. I can not wait to see more.